Socialist youth from the 60s and 70s recently held a reunion. Some are still active and members of socialist organizations, most, however, are not in any socialist grouping - though still active in their unions, in local peace groups, in community, school boards and other settings. Many setbacks notwithstanding, optimism was present at the gathering. It was reaffirming to see so many still engaged, still committed. W.E.B. DuBois was one of the pioneers and intellectual leading lights of the black freedom movement, of the struggle for the liberation of Africa from colonial rule, for world peace. A founder of the NAACP, his radicalism expressed itself it action and in books such as the Souls of Black Folk, Darkwater, Black Reconstruction and The World and Africa; works that were poetic while breaking new ground in research and understanding. Victimized during the McCarthy-era, DuBois left the United States for newly independent Ghana, where he died in 1963 at age 96 - fittingly, on the day of the historic March on Washington. One of his last actions before leaving the country of his birth was to join the U.S. Communist Party, an organization with which he had long collaborated. DuBois, a militant fighter for peace, racial and social justice, was amongst those who helped prepare the ground for the upsurge of resistance and hope embodied in the 1960s civil rights movement. 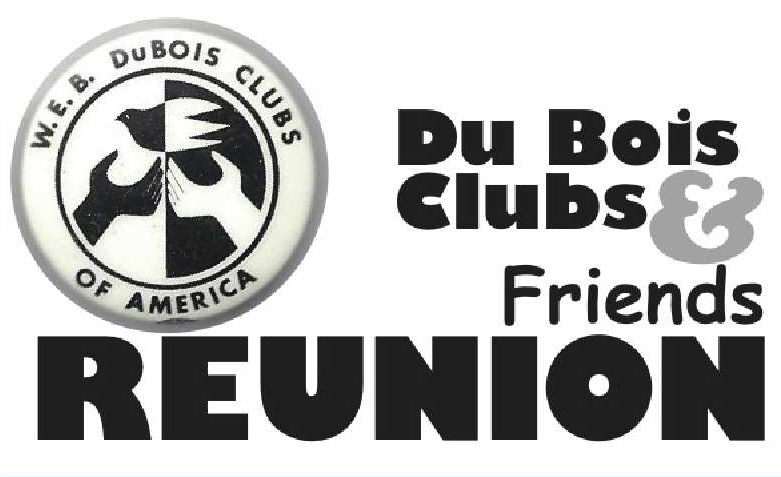 In 1963, socialist-oriented youth in the Bay Area, named their newly-formed organization, the DuBois Clubs, after him, to pay homage to his legacy with all the urgency of engagement with the struggles of the day and the hopes for the future. "What are you proud of, what do you regret, how can we move forward," those were the three questions Mike Myerson posed to Dynamite Hallinan, JJ Johnson, Jackie Saindon, Naomi Chesman Smith, Jarvis Tyner and Mike Zagarell to frame a panel discussion at the 50th reunion of the DuBois Clubs (and its successor, the Young Workers Liberation League -- YWLL), held in Tarrytown, NY June 8-9. The speakers, who had all been active leaders of the Clubs, had also been active in the GI anti-war movement, local labor struggles, civil rights and peace organizing, electoral action, international solidarity. They addressed the gathering, which took the form of an open discussion and soon became generalized amongst the 105 people in attendance, perhaps most in the room joining in. Pride, anger, affection, bitterness, humor and determination all were voiced - and re-echoed in countless private conversations -- as people spoke of making sense of the past and of future possibilities. Born in Northern California, announcing its presence through a dramatic sit-in action protesting the anti-Communist House Un-American Activities Committee, engaging in direct action protests demanding an end to employment segregation, the DuBois Clubs were a critical part of the upsurge that led to the 1964 Free Speech Movement in Berkeley. Active in anti-racist struggles, in the fight for freedom for Angela Davis and all political prisoners, in battle against the war in Vietnam; the Communist Party-allied clubs were part of the radicalization that gave birth to the New Left. But unlike New Left organizations, it was multi-racial in its leadership and membership base, it was rooted in the working-class - and upheld the centrality of class to any movement seeking fundamental change. 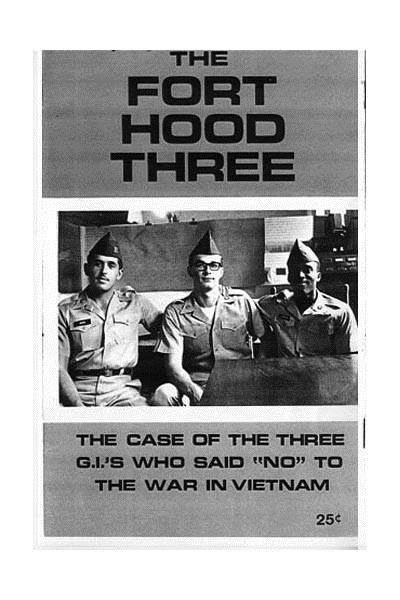 Like other organizations, the Clubs faced its share of police and vigilante violence, of FBI infiltration, of government sanction. Unlike other organizations, the DuBois Clubs took strength from the fact that one-third of the world was embarked on the path to socialism, connected its solidarity with Vietnam and Cuba to solidarity with the Soviet Union, and made participation in the World Festivals of Youth and Students a critical component to its support for anti-colonial movements across the globe. As the experience of a generation led to a turn toward Marxism by thousands of activists on and off campus, in both the U.S. and throughout the world, the dissolution of the DuBois Clubs and formation of the YWLL in 1970 was an attempt to further ground on-going movements of social protest in a Marxist-Leninist perspective. Many victories were won along the way; Angela was freed, Vietnam liberated itself, scores of gains in the fight for freedom and social justice were registered. But the empire struck back; US imperial reaction reasserted itself, Ronald Reagan's election in 1980 was a counter-attack on the labor movement, on movements for racial justice and social freedom, on anti-war struggles that put the entire left on the defensive. Reaction that struck across the board, as neo-liberal capitalist "shock therapy" was applied not only to the western working-class, but even more harshly to the peoples striving to give freedom a social content in the third world - and eventually too in the (now former) Soviet Union, Eastern Europe, and much of what had been the socialist world. Tensions over the need and nature of democratic reform within existing socialism and over the reason for its subsequent implosion, combined with division over how to advance domestic radicalism in a period of retreat took its toll. Over the years, deeply committed individuals and small groups left in various divides within the DuBois Clubs and YWLL as well as from the Communist Party - all prelude to the rupture in 1991 out of which the Committees of Correspondence for Democracy and Socialism was formed. Some at the reunion are now members of the C of C, some remain in the CPUSA and a few are active in other national organizations. Most, however, are not in any socialist grouping - though still active in their unions, in local peace groups, in community, school boards and other settings. Talks and discussions, however, for the most part struck a personal not an organizational tone, self-questioning taking place within groups as well as individually; the intent ever how to learn from shared experience. That wide-ranging opening up was made clear in the opening remarks; one of the panelists spoke of network theory - the existence of hubs -- as a way of envisioning a process that is organized, yet non-hierarchical, another turned to anthropology as a means to understand movement and change as something other than linear progress. Panelists talked concretely of the experiences that made them revolutionaries and which later made them question ways of doing and acting that had become routine, ineffective or disconnected to wider movements, spoke of pride and hurt that had been gathered along the way, of how change can come swiftly - this last a note of hope as the spread of the Occupy movement was often noted. Though the Occupy movement also served as a reminder of the need for organization, of the need to pass on to a new generation knowledge of the past. In a sense, that spoke to the validity of what the DuBois Clubs attempted, that part of the past that ought to be carried forward even as aspects of what was done and thought are re-examined. Views cannot be easily summarized, what was overwhelmingly shared was a continued anti-capitalist perspective, of the need for multi-racial unity, of the centrality of the working-class (even as the definition of the working-class came up for discussion). Many setbacks notwithstanding, optimism was present at the gathering. It was reaffirming to see so many still engaged, still committed, to hear the play of laughter and the rekindling of old ties, to be reconnected to a genuine solidarity. "I have loved my work, I have loved people and my play, but always I have been uplifted by the thought that what I have done well will live long and justify my life, that what I have done ill or never finished can now be handed on to others for endless days to be finished, perhaps better than I could have done."